Remember the good old days, when you’d be sitting with your friends in the school cafeteria, and you’d open your lunch box to find a freshly made PB & J sandwich with the crust cut off, just the way you like it? Since those elementary school days, peanut butter has stuck around, reminding us of what we loved about our own childhood. In order to honor this spreadable slice of heaven, November was named National Peanut Butter Lovers Month. Peanuts aren’t even nuts! They’re legumes, and are more closely related to beans than nuts. Just to make one 12-ounce jar of peanut butter, it takes about 540 peanuts! 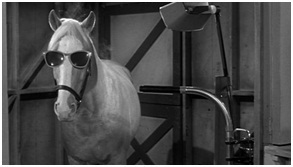 Peanut Butter was the secret behind TV’s talking horse, Mr. Ed. Four of the top 10 candy bars made in the US contain peanuts or peanut butter. Dr. George Washington Carver researched and developed over 300 uses for peanuts in the early 1900’s except for peanut butter. Peanut butter is consumed in about 90% of households in the US. The average child in the US will consume about 1,500 Peanut Butter and Jelly sandwiches by the time he or she graduates high school. One acre of peanuts will make about 30,000 PB & J sandwiches. 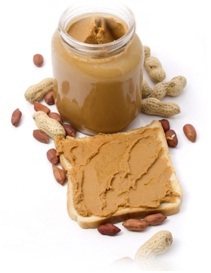 Peanuts and peanut butter contain over 30 essential nutrients, and are naturally cholesterol-free! Do you know any fun facts about peanuts or peanut butter? What’s your favorite recipe containing this delicious treat? Leave a comment and “spread it on thick”!